Thanks to advertising and media hype, people expect things to become much cheaper on Black Friday. In reality, only some items get deep discounts. Others stay the same, and as a WalletHub survey of prices during last year's buying season noted, some prices actually skyrocket on this day! It's essential to know the normal prices of the things you're thinking of buying so that you can tell how much, if any, of a discount has really been offered. This will make it easier to decide what to buy on Black Friday. For items where the specifics aren't very important, such as non-designer clothing, the best time to buy is on Christmas Eve. Brick-and-mortar stores get very desperate to unload stock that hasn't sold before the big day. Then, the selection in stores is much more meager and the shelves tend to look like a cyclone hit them, but the discounts on what's left can easily reach or even top 50 percent. So if you can stand to wait, the last possible shopping day is great for picking up gift items that don't rely on specific brands, sizes or colors to be hits. According to WalletHub, 17.2 percent of items will be cheaper on Amazon on Black Friday than they are in brick-and-mortar stores. Don't worry if you realize that you forgot to pre-check an item when you're reminded of it by a store display; Amazon has a handy app that makes it easy to check their stock from your cell phone. So, you can see the item in person to verify size, model or color, but then hop into the app to purchase and get the best price. Just be aware of shipping if that is an added expense. But for Amazon Prime customers shipping is often not an issue. Most people think of holiday shopping as a strictly gift-buying activity. However, it's a great time to save money on things you need but are unlikely to receive as presents. Pay extra attention to gadgets that are considered distasteful for gift-giving, such as vacuum cleaners, small kitchen appliances, bathroom scales, and other similar household necessities. As long as you would have gotten them for yourself anyway, doing it during the holiday season can be a good way to save money. You don't want to have a post-holiday hangover to be caused by a huge credit card bill. Set a strict budget before you step foot into a store or log onto a shopping site. Break it down by each gift recipient so it's easy to keep track of spending. USA Today suggests limiting total holiday spending to 1.5 percent of your annual income. 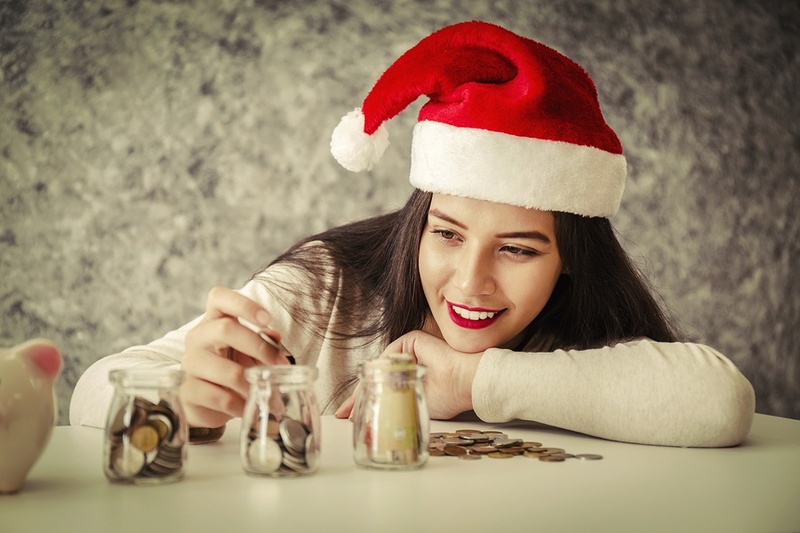 By using these tips regarding sales, you'll be able to find good gifts despite doing your holiday shopping on a budget, and your finances will thank you, too. Credit card issuers offer all sorts of deals to try to get you to use their cards, but in the long run, nothing beats a fixed low interest rate. We offer stable interest rates on Visa credit cards and we also have holiday personal loans, should that be a better option for your needs. Combined with a good holiday budget, low interest rates will ensure that your cheer will not be diluted by big bills come January.